Sir Knight Doug Kiser is a retired Officer from the Dayton Ohio Police Dept. He currently resides in Knoxville, TN and over the last several years had been involved in fund raising projects for The Armor of God. When Chief Reck advised him that due to circumstances the Project would be closing he offered to take over the project and continue its mission. In October of 2018 the project was moved to Knoxville, renamed to Vest For Life Inc. and through its Board and volunteers from Knights of Columbus Monsignor Grady Assembly 1083 hope to continue this life saving ministry for many years to come. Lt. Doug Stiles is an Officer with the Knoxville Police Dept. He has been on the Department for over 20 years and is currently the commanding officer for the Violent Crimes Division as well as the former commander of the SWAT team. He is an instructor in many phases of police work and has travelled the US as a guest instructor for numerous departments. He strongly believes in the mission of the Project and will give us a strong standing with law enforcement agencies across the US. Chief Reck is the co-founder and Director of the Armor of God Project Inc. and now is on the Board of Directors for the successor organization Vest for Life Inc. AKA The St. Michael’s Shield Project. He has been in law enforcement for over 27 years and currently serves as Chief of Police for the Muscle Shoals Police Department. He is a Certified Tactical Instructor, Firearms Instructor and Range Master. His past assignments have included 12 years on SWAT Team as Team leader and K9 officer. He is a past Executive Board Member for the Alabama Tactical Officers Association. Chief Reck is a graduate of the 227th Session of the FBI National Academy in Quantico, Virginia. Sir Knight Jimmy Dee serves as faithful Navigator to the Monsignor Grady Assembly 1083 Fourth Degree Assembly of the Knights of Columbus. Jimmy server as board member for Vest for Life and helps with project administration/volunteer coordination activities. © 2009-. 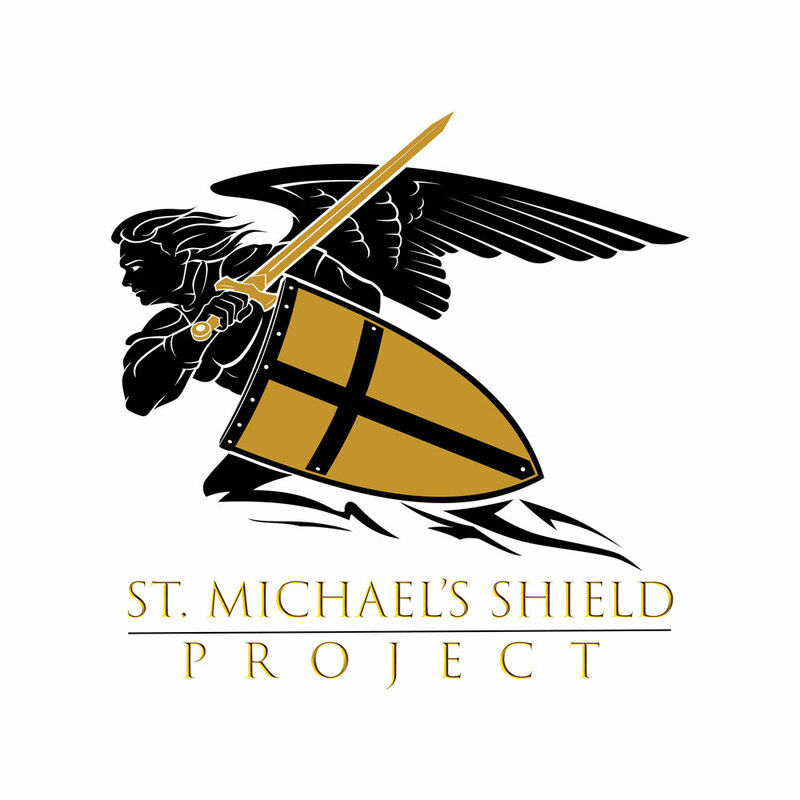 St. Michael’s Shield Project. All Rights Reserved.